The author of the beloved Ivy & Bean series for new readers visits us with her newest, Ivy & Bean Take the Case. There's a new detective on Pancake Court who is out to solve mysteries. And when there aren't any mysteries to solve, Bean and her assistant Ivy make some up. Ms. Barrows is familiar to adult readers, too, for her book The Guernsey Literary and Potato Peel Pie Society. The creator of Ivy & Bean comes to Hicklebee's! Annie Barrows is as hilarious and mischievous as her best-selling series, Ivy and Bean. In-demand at bookstores, conferences and festivals, she has charmed audiences large and small with endless stories about the kooky things kids do, her writing process, and her unconventional ideas about encouraging kids to read. In addition to writing the New York Times Bestselling Ivy and Bean series, she is the author if the international bestseller, The Guernsey Literary and Potato Peel Pie Society, currently in development as a feature film. She lives in Northern California with her husband and two daughters. Mary Ann Shaffer , The Guernsey Literary and Potato Peel Pie Society. Mary Ann Shaffer's book The Guernsey Literary and Potato Peel Pie Society was available from LibraryThing Early Reviewers. 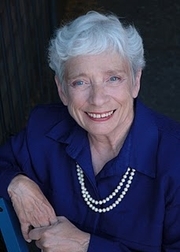 Mary Ann Shaffer is currently considered a "single author." If one or more works are by a distinct, homonymous authors, go ahead and split the author. Mary Ann Shaffer is composed of 9 names. You can examine and separate out names.